The attic can be of use to answer many needs, both at home and at our business. It is usually a spacious place, separated from the rest of the building (the house or the store), that also offers the privacy and the space we need. It can be used as an office – at home or at the business, where we can mind our own business with no interruptions. It can be used as a storage space – both at home and at the business, where we can store inventory, tools, extra products, kitchenware, clothes, etc. It can also be used as an extra room, for yourself or for your older kid, for example. 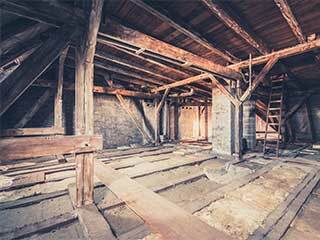 Now, should you want to enjoy any of these uses, you should keep your attic clean on a regular basis. How Often Should I Call for Attic Cleaning at My Business? Based on our vast experience, the first thing to think about is the type of business you own. Is it a business where a little dust can affect the whole business activity, such as a restaurant or a supermarket? If so, you should call for professional cleaning services very often, to ensure your food related business is clean, safe and healthy. If it's an office we're talking about or a factory (non-food related), you can call for cleaning solutions more seldom, according to your property's characteristics. When our team arrives at your business, whatever type of business it is, they will also take under advisement the amount of inventory or products you have to store and the scope of your business activity, based on which, they will advise you what the situation requires and how often you'll probably need to call for their services. How Often Should I Call for Professional Cleaning for my Home's Attic? When it is your private attic you need to keep clean, it is enough to call for professional cleaning once a year, which you can do before the holidays' season, before winter or before summer, since that's when most people find it the most convenient timing to perform such cleaning. If you have an extremely packed attic, you can consider hiring our services about twice a year, to help you keep it cleaner. Not sure when to call for attic cleaning services? How about you call us today, and we will advise you when it is most recommended for you to use our services? Give us a call, we're waiting!